Is your skin showing signs of age? Perhaps you are noticing fine lines and wrinkles beginning to appear. All too often, stress and exposure to the elements, and the passing of time can cause our skin to show signs of aging. The delicate areas of the face are especially prone to the damaging effects of the environment. Factors such as the sun, seasonal temperature changes, and stress can cause facial skin to become dull, dry, as well as prone to breakouts. How do you fight back and keep your skin from aging prematurely? 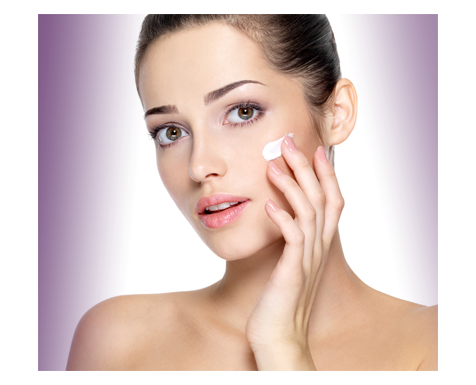 Follow our tips for beautiful, younger looking skin! Age-Defying Marine Collagen Cream: This is a great moisturizer that combines Squalane and Marine Collagen to infuse moisture and provide UV protection. Great for anti-aging. It softens fine lines and wrinkles while replenishing vital nutrients. Lumafirm Repair Cream Lift & Glow: Proven to perform, this repair cream works deeply and quickly, infusing your face, neck, and décolleté with the best anti-free radicals, peptides that help to repair skin damage, and outstanding lightening ingredients. In a recent study, 100% of participants were satisfied with the immediate lightening effect and felt their complexion looked uniformly smoother and visibly brighter. Lumafirm Eye Contour - Lift & Glow: For anyone who is tired of dark circles and puffy eyes! This is product is the ultimate anti-aging shield. It will visibly smooth lines and wrinkles, and will also quickly diminish dark circles and ease puffiness around your eyes. If you plan to be outdoors or exposed to the sun for any length of time, apply a layer of sunscreen to your face. Read labels carefully and look for a sunscreen that provides "broad spectrum" or "full-spectrum" coverage. A broad spectrum sunscreen will protect your skin from both UVA and UVB rays from the sun. UVA rays can penetrate deeply into your skin and suppress your immune system. This increases the risk of wrinkling and age spots. UVB rays are the type that cause sunburn. If your skin is exposed to both of these type of rays, your risk of skin tumors and cancer increases. The best sunscreen offers protection from all UV light. A healthy diet rich in B vitamins as well as Vitamin A and C will also encourage healthy radiant skin, as will drinking lots of water. Taking time to exercise will stimulate blood flow and improve circulation for a healthy glow! If you do not have time to exercise, do simple things such as taking the stairs when possible or parking farther away from store entrances for an easy way to exercise. One of the most beneficial ways to address aging skin is with an anti-aging facial. This type of facial uses special healing ingredients to target fine lines and wrinkles, poor skin tone and other issues. Far from being just a pampering service, a facial actually has therapeutic benefits including removing toxins, improving circulation as well as stimulating cell growth. You’ll be amazed at what 60 minutes with one of our specialists can do!